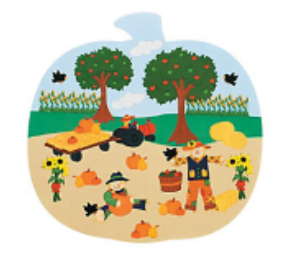 Celebrate harvest time creating a fun Autumn scene with scarecrows, apple trees, pumpkins and more. All ages. One per child while supplies last.